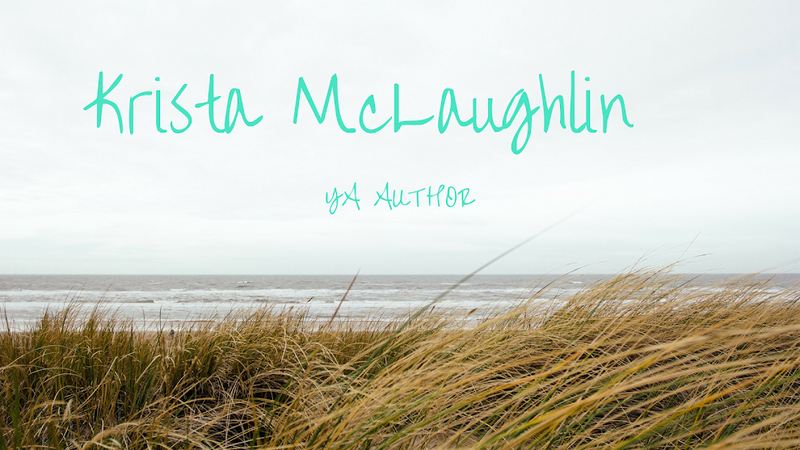 Krista McLaughlin - YA Author: A frying pan, who knew? Who would have known that a frying pan would be such a popular weapon of choice? Who knew? You are probably wondering what is the point of this. Yes, people hit people on the head with frying pans. My point is, I think we should all carry a frying pan as writers. They would be very useful. 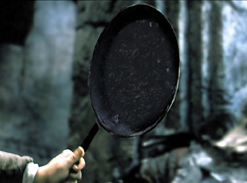 Can you think of any movies where a character hits someone with a frying pan? If you have a frying pan, would you hit someone on the head? lol! 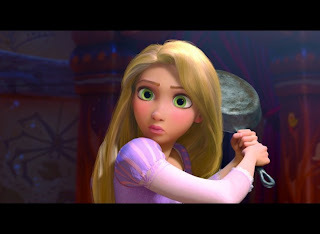 My son actually hit me with frying pan once after watching Tangled. When I told him it hurt, he hit himself - lesson learned. What a funny post! Thanks for the giggles, Krista! Flyn: "I need to get me one of these!" In the now defunct Jim Henson tv series "Dinosaurs", the baby would hit the dad with a frying pan or pot and say "Not the Mama". It was an annoying running gag.